In my novel, The Secrets of Dr. John Welles, Claude Willoughby, one of John’s best friends, has had his share of trials and tribulations. When John and Claude first met, they sized up each other and decided they weren’t too keen on pursuing a friendship. After a few terse words, they overcame their differences, and together with Sam Feldman, forged an alliance that lasted a lifetime. So close was their bond, that when one of the afore-mentioned tragedies sent Claude to self-imposed exile in California, John and Sam felt as if their right arm had been severed. Claude obtained his pilot’s license as a means of dealing with his grief. He also secured employment at the airfield where he trained and later joined the Navy as a pilot during World War II. I had to research exactly what Claude would have encountered in 1937 when he learned how to fly. In doing so, I came across the most unusual website listing a compilation of airfields, now abandoned but operating during the time period about which I was writing. I really shouldn’t have been surprised; the Internet has a site for just about any subject a writer would need to research. 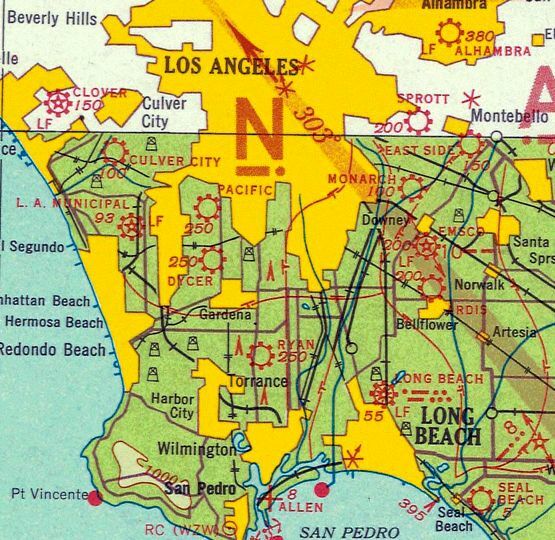 Abandoned & Little Known Airfields contains descriptions and images of 1,995 airfields in all fifty states and is organized alphabetically by state. I hope you find this information as useful as I did. 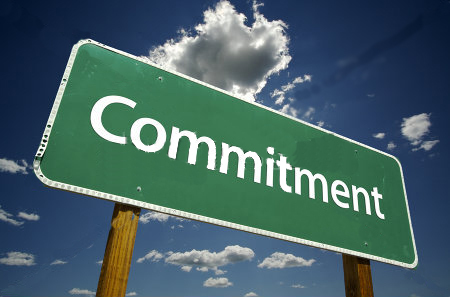 Commitment is a large part of the success we have for anything we do. This may sound obvious, but I state it yet again because we often forget this. And, as is the purpose of my Writer’s Soul series, I offer up myself as the example. You may have noticed that I haven’t published a new blog post in a while, and I’ve been recycling some of my older posts. This is was an important step toward a commitment to my writing. How does this apply when I wasn’t writing anything new to post? Let me explain. I have observed for some time now that I was more committed to maintaining my author platform via social media and watching my stats rise than I was to writing. I bought in to the belief that higher stats translated into success as a writer, and it was exciting to watch the numbers go up. 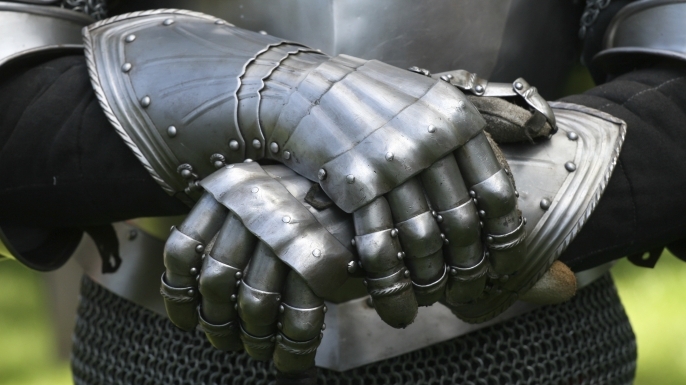 If higher stats meant writing success, why did I have several unfinished short stories and pieces of flash fiction niggling at the back of my mind? Then there was the heavy load of guilt I experienced due to this lack of completion not to mention my growing sense of frustration. During this time, I was still reading Heather Seller’s book, Page After Page. It’s brilliant in its simplicity and translates well to other forms of art. Her words are so inspiring that I agreed with everything she wrote. So why wasn’t I getting anywhere with my writing? The great thing about Page After Page is that it allows you to mentally rewind and review what you’ve read and learned. This is exactly what I did when I reread a couple chapters. 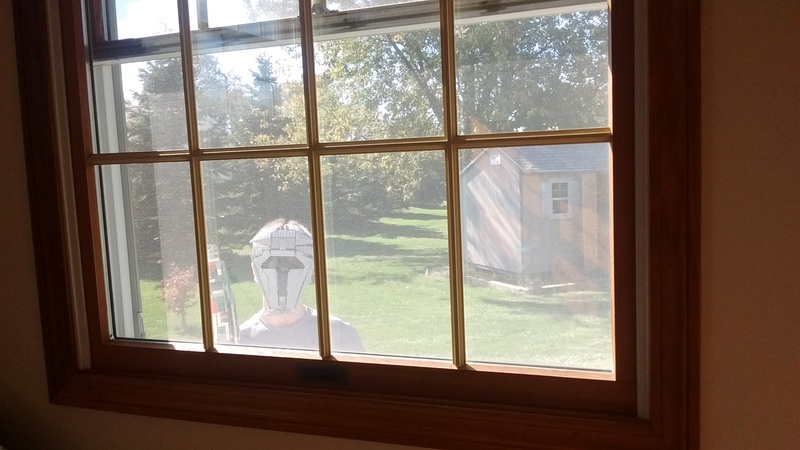 Besides, I needed to regain my momentum and generate a little inspiration. I returned to chapter six, three chapters prior to where I left off reading. The result was amazing and humbling. I picked up more useful information and re-familiarized myself with that which I remembered. I redid the exercises at the end of the chapters and felt my resistance begin to slip. Admittedly, this surprised me. I pressed on and reread chapter seven. More aha moments were had especially when I realized that I hadn’t completed a ten-day exercise meant to jumpstart my writing. It was such an easy exercise, yet the fact that I didn’t finish brought up another round of whys. My initial reaction was to claim that the exercise was so easy that it made it easy to dismiss. How arrogant of me! I took responsibility for my lack of action by placing markers in all of my books, saving all of my half written works, grabbing my pencil and paper, and sitting down to complete the writing exercise over the next ten days. In short, I committed. Not surprisingly, my writer’s block and frustration lifted, my resistance melted, and my writing flourished. Go figure. By the act of simple ritual, I learned the valuable lesson of commitment. I also learned that being in agreement with what you read isn’t enough. You have to actually apply it to your writing. Or your chosen art form. Or your life. But I was committed, a tiny portion of my mind insisted. No, I was a slave to the addiction of watching my stats rise on social media. And, while social media may be the way things are done today, I question how beneficial it is to the creation of art. Personally, I found it to be detrimental to the whole creative process. It may be a great marketing tool, but art requires a step away from the constant connectivity. So, as fellow writer Lucy Flint is fond of saying, I extended myself some grace. I’m backing off from the hectic schedule I tried to maintain on social media to focus on my writing and reading. In slowing down, I am fulfilling my promise to myself and my readers that I will produce my very best. 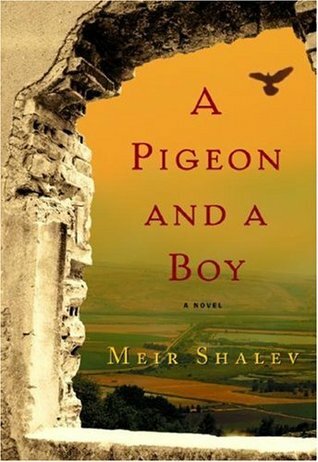 A Pigeon and a Boy by Meir Shalev tells the tale of a young pigeon handler who was a member of the Palmach and participated in Israel’s 1948 War of Independence. Intertwined with the tale is the story of Yair Mendelsohn, a middle-aged, present day Israeli tour guide. Yair is familiar with the pigeon handler’s story but seeks a deeper meaning to the story as it relates to his own identity. Shalev included just enough history and explanation on the war and pigeon handling to ground the story without bogging it down. His multi-layered characters are well developed and complex without being tedious. You will feel as if you’re parting with old friends once you finish reading. The novel includes a light mystery, some humor, and realistic romance. The overall conclusion is heartrending yet satisfying. I highly recommend reading A Pigeon and a Boy. I’m a huge fan of television and movie music, so a couple of years ago I surfed YouTube in search of the theme from the show, Cold Case. I had become a fan of the reruns and the song used for the opening credits. My hope was to find a video of the song, uploaded by another fan, that I could add to my list of favorites. 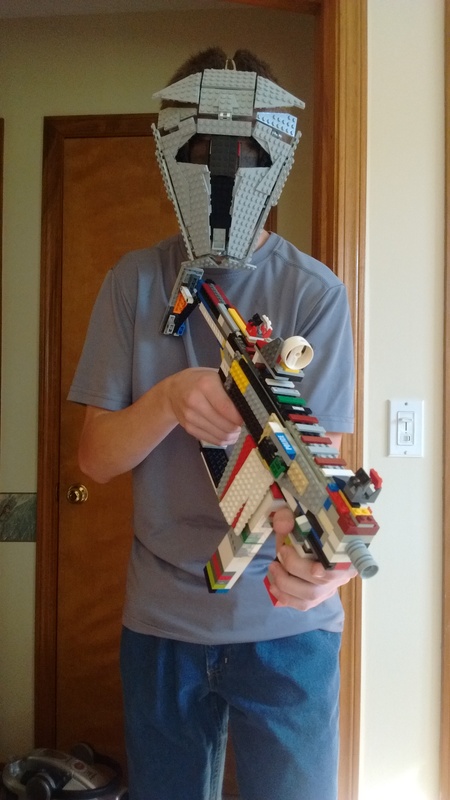 What I discovered was even better. 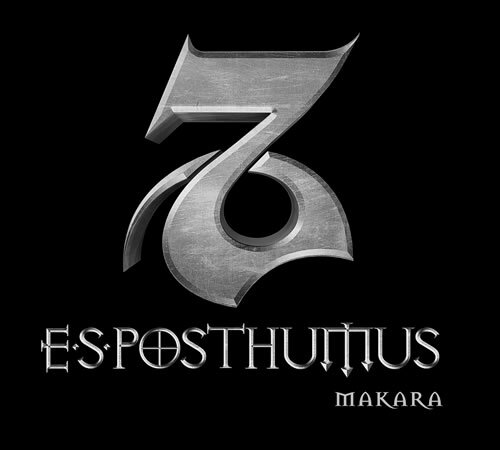 E.S. 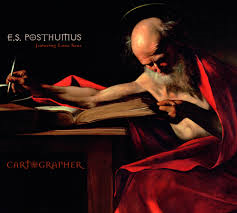 Posthumus is the name of the group responsible for the ethereal music used as the Cold Case theme. The actual title of the song is “Nara,” and it is featured on the 2001 album, Unearthed. Helmut and Franz Von Lichten are the brilliant creators behind the music. The group hasn’t been active since 2010 due to the passing of Franz Von Lichten, but what they left behind is remarkable. Their music has been listed in the genres orchestral, ambient, modern classical, and symphonic rock. All are accurate. If you’ve never experienced E.S. 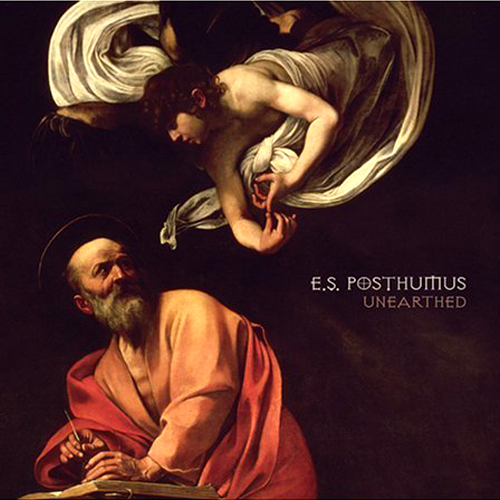 Posthumus, I recommend starting with their first album, Unearthed. The tracks are titled after ancient cities no longer in existence and have been featured in movie trailers and television shows. Cartographer, their second album, is a two-disc collection featuring vocals by Luna Sans. All pieces are stories telling a fantasy tale about the imagined creators behind the ancient “Piri Reis” map discovered in Constantinople. The made up language sung by Sans is beautiful and haunting. The third and final album, Makara, seemed the most different to me with pieces that are intense and power driven. I find it great for driving or housework because of the high energy quality whereas Unearthed and Cartographer are more suited to writing for all for the inspiration they lend. Whichever album you start with, I highly recommend listening to all three. They are timeless classics one will return to again and again. Collie Mercer is the type of woman who believed that children should be protected from all that is bad in the world. This is exactly what she did for the four Welles siblings in my novel, The Secrets of Dr. John Welles. Whether shielding them from the overly harsh discipline of their oft drunk father, news of the Great War in Europe, or details of the Flu Pandemic, Collie worked hard to ensure peace for the children she was raising. Her tactics could be as simple and comforting as a batch of homemade molasses cookies. Of course, any of Collie’s delicious recipes supplied the distraction and reassurance her stepchildren needed as she brought them together time and again to the table as a family. When I wrote the scene involving Collie’s molasses cookies, I had a soft cookie in mind but no recipe. I don’t care for crisp molasses cookies, and while I enjoy the chewy version, I adore the soft ones best. 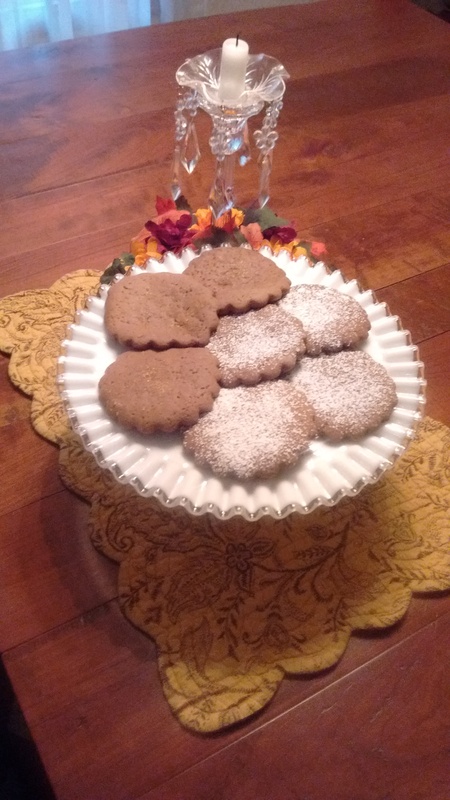 Thanks to my friend, Gayle Hoffman, I finally have a recipe for soft molasses cookies such as Collie would have offered that are tender, delicious, and easy to make. Preheat your oven to 350°. I worked with a KitchenAid stand mixer. Cream the shortening or butter and both sugars about five minutes. Add the eggs one at a time. Beat in the molasses. Combine and sift the flour, baking soda, ginger, cinnamon, and salt. Add to the cream mixture by large spoonsful, mixing well and scraping down the sides of the bowl as needed. I suggest adding the water alternately with the dry mixture as the batter thickens. When completely mixed, it should be soft and pliable. Cover or wrap the dough and refrigerate for at least three hours. This will make for easier handling and rolling. Divide the dough into four sections and refrigerate the other three to keep the dough firm. Roll one section at a time, approximately 3/8” thick, on a surface dusted with a half flour/half powdered sugar mixture. Cut with your favorite cutter. Bake at 350° for 10 – 11 minutes. 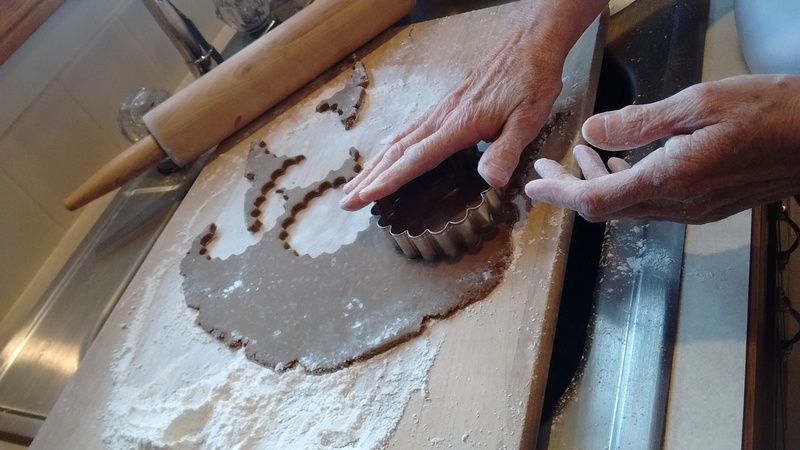 You may need to adjust the baking time depending on how large or small your cut cookie is. Allow to cool on a rack and dust with more powdered sugar. An alternate topping would be to dust with sanding sugar prior to baking. Store in an airtight container. Freezes well. One of my favorite books, and a feather in the cap of my private library, is Heroes From the Attic by G. Jesse Flynn. 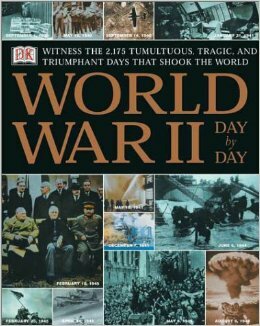 I first learned about the book while interviewing participants from the Conneaut D-Day Reenactment this past August. 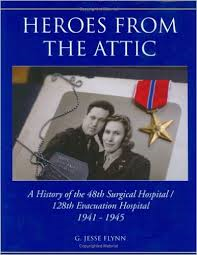 Lisa Merzke, who portrayed a nurse, suggested the book because it explained in detail about the creation of the first MASH unit, the 48th Surgical Hospital, which was later reworked into the 128th Evacuation Hospital. I obtained an excellent copy of the book and was thrilled to discover the author’s signature in the front cover. Although the inscription isn’t addressed to me, I couldn’t have been more pleased that I owned a signed copy. Mr. Flynn was prompted to write the history of the 48th/128th upon learning about his parent’s involvement with its formation. Through interviews, letters, diaries, and pictures, Mr. Flynn has constructed a thoroughly detailed accounting that answered my specific questions with such precision that at times I believed the book had been written for me. 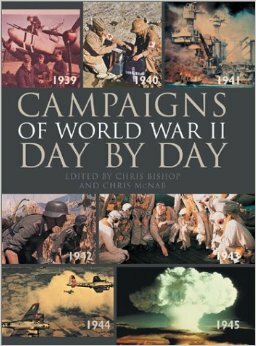 As well written as the history is, what truly endeared me to this book were the personal accounts of the members of the 48th/128th. Through the letters of Nurse Lt. Margaret Hornback, the diary of Dr. Leonard Schwade, and individual testimonies of various other members, one gets a true sense of what these brave men and women experienced and how they felt about it. In an event that, God willing, we never allow to be repeated, members of the 48th/128th often learned on the job but never missed a beat, and they set the high standard of quality by which other units were formed and trained. I am forever grateful to the doctors, nurses, and enlisted men of the 48th/128thfor their selfless sacrifice. I also thank Mr. Flynn for collecting and recording their amazing history so that it will never be forgotten. Their stories and information helped me to accurately place my protagonist in the European Theater of World War II, and I hope they will graciously indulge my boldness in assigning Dr. John Welles to their most successful and exemplary unit.